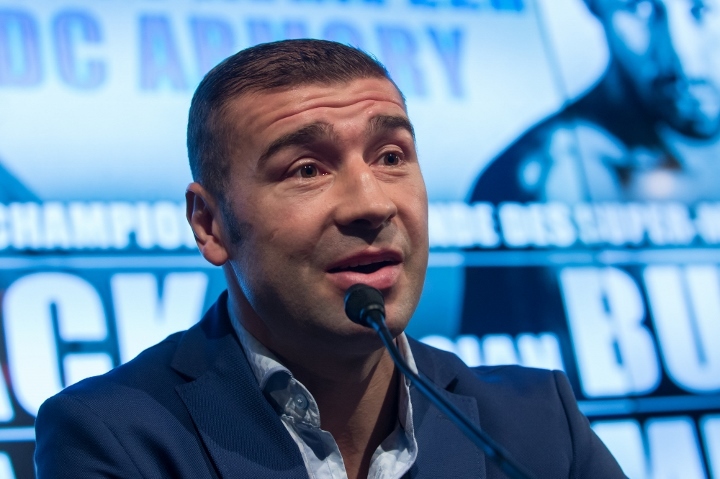 According to a report in the Montreal Journal, former world champion Lucian Bute is expected to announce his retirement from boxing. The Quebecer of Romanian descent (32-5, 25 KOs) has been out of the ring for over two years. The last time Bute saw action was back on February 24, 2017. Bute was one of the more successful boxers to represent Canada and drew large crowds in the country. He was the IBF super middleweight champion between 2007 and 2012. He has made nine defenses of his title. He took part in 13 world championship bouts during his career. The paper notes that Bute's decision was made several months ago. The events surrounding Adonis Stevenson's last fight delayed his announcement. Bute was a star run, until he traveled to Nottingham in May of 2012 and suffered a crushing knockout loss at the hands of Carl Froch. He returned to defeat Denis Grachev later that year, but then lost a twelve round decision to Jean Pascal in a major Canadian boxing event in January 2014. Two fights late, he made an attempt to regain the IBF super middleweight title and lost a twelve round decision in a competitive fight with James DeGale. In his next fight he tried to capture the WBC title at 168, when he challenged Badou Jack in April 2016. Initially the contest ended in a controversial twelve round draw, and then it was changed to a disqualification loss when Bute tested positive for a banned substance. In what ended up being his final career fight, Bute moved up to light heavyweight and was knocked out in five rounds, in a WBC eliminator, by Eleider Alvarez. [QUOTE=SniXSniPe;19597334]Reminds me of Wilder's "doctor check-up" against Luis Ortiz. [/QUOTE] Bute’s situation was so much worse though lol. Hopefully he won't pull a pascal and actually stay retired.